3) decreasing corrosion by over 70% compared to salt brine alone, which places the product on the PNS – QPL (Pacific Northwest Snowfighters - Qualified Product List). Another important attribute, is the opportunity to lower salt usage and introduce less chlorides into the environment as a result. AMP® has undergone extensive testing to validate its effectiveness and clearly define the best utilization of the product. Below are case studies from some of our customers that demonstrate how they used AMP® to improve their service levels, reduce costs, and reduce chlorides introduced into theenvironment. Download the AMP® brochure from our website and contact us to learn more about how this innovative product can enhance your deicing and anti-icing program. Across the U.S., in the 2016-17, communities experienced varied winter weather conditions. With extreme snowfall, in the Northwest compared to relatively light winter conditions in the Rocky Mountains and a light to average winter conditions in the Midwest. A Commercial Landscaper in North Dakota, Cities and Counties in Minnesota and a municipality in Washington were just some of the organizations that tried AMP® in the latest winter. Glacier Snow Management Company started using AMP® as a way to continue Liquid Treating surfaces, but at a lower cost than with an inhibited Magnesium or Calcium Liquid Brine when temperatures are not extremely low. AMP was added by volume to the Salt Brine that was made using a purchased Salt Brine System. Treating surfaces, but at a lower cost than with an inhibited Magnesium or Calcium Liquid Brine when temperatures are not extremely low. AMP was added by volume to the Salt Brine that was made using a purchased Salt Brine System. During this last winter, AMP® Enhanced Salt Brine was used numerous times by Glacier at sites such as hospitals, retirement homes, and commercial business campuses. City of Auburn, Washington, used AMP® to enhance their salt brine, 5 times this past winter as pre-treater, anti-icer, and as a deicer. The city opted for a 10% AMP® Solution, but may at a later date increase the dosage to 20% AMP® if it is decided that they need to have a PNS Approved corrosion inhibited product or a salt brine solution that works at even lower temperatures. 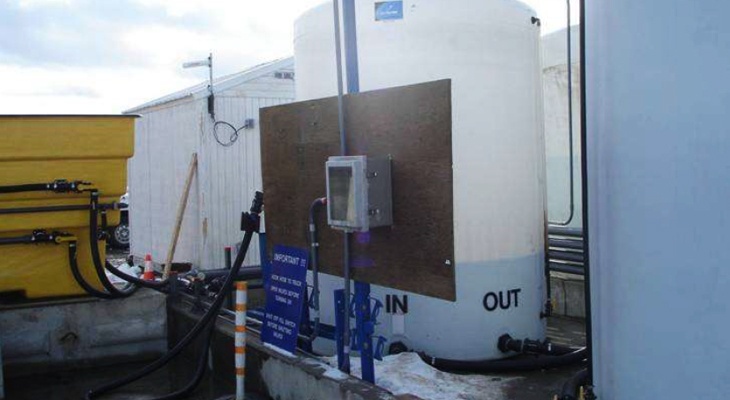 The City of Auburn WA chose to add the AMP® via a metering pump after producing the brine. The payoff for using AMP® Enhanced Salt Brine was the decrease in application rates. This means less chlorides in the environment as well as a reduction in application costs. The City of St. 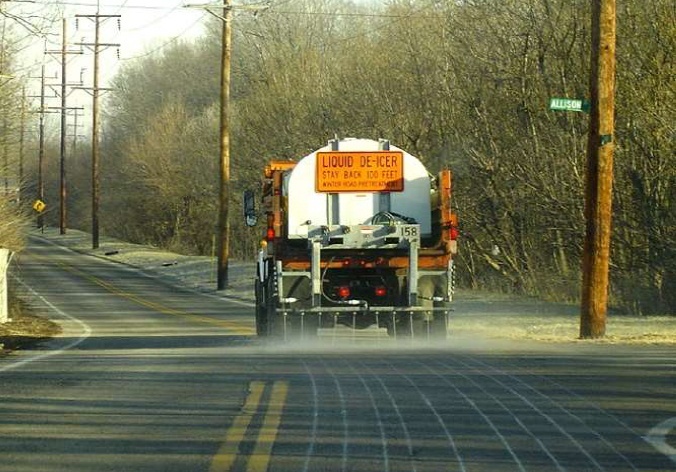 Cloud, Minnesota opted also to go with a 20% AMP® and 80% Salt Brine by volume solution as a deicer and a pre-treater solution at the spinner. The Minnesota DOT had approved and the City of St. Cloud had previously used a Beet Juice product as an additive in the past with their salt brine. The mixing/incorporation of AMP® as added in was very easy, clean and complete and the additions worked extremely well, with no separation seen in the enhanced salt brine along with no odor. Foul odor is a common problem customers experience with the use of Beet Juice. The City of St. Cloud was using RoadGuard 8 previously for enhancing their salt brine. Performance was rated as 10 out of 10 (exceptional) by City of St. Cloud MN. 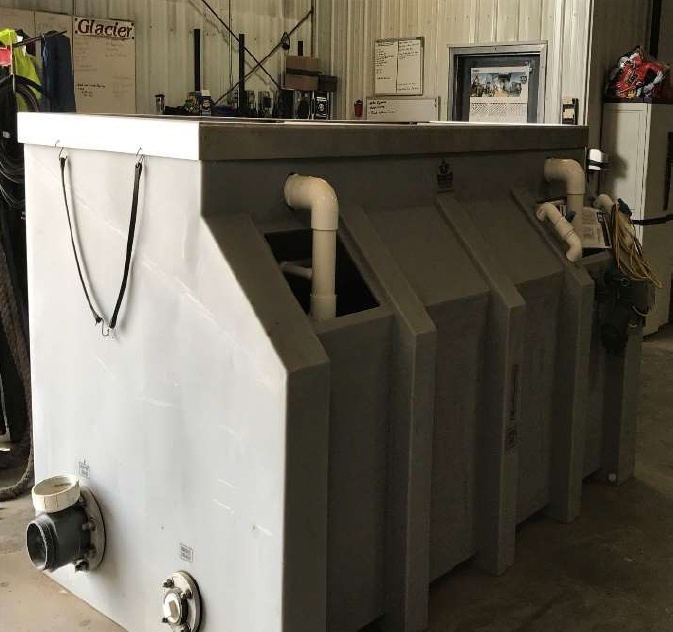 Another customer, the County of Anoka in Minnesota also opted for the benefits provided by a 20% AMP® + 80% Salt Brine solution to give them a product that works as pre-treater and as an anti-icer. The County of Anoka Minnesota authorities had used a beet juice product in the past with their salt brine. Moreover, the County’s switch to AMP® worked extremely well, with no separation seen in the brine solution along with no odor or suspended solid issues that often seen with beet juice derived products. Anoka County was very pleased with the performance of the product after using it about 10 times this past winter. For all of these customers, AMP® was the favored solution whether it was being used at 10% or 20% add rates, whether it was being used for pretreating salt to reduce bounce and give the salt a little more bite, or if it was being used as an anti-icer to pre-treat ahead of a storm allowing the customer to more easily remove snow from the pavement. As you read in the case studies, AMP® is also often used as deicer to clear the snow and ice from sidewalks, parking lots, and roadways. These organizations as well as numerous others throughout the country found that utilizing AMP® in their salt brine allowed them to have a cleaner/easier to use additive (without the odors or solids seen with Beet Juice), gave them a product that was easy to blend, offered lower corrosion rates and worked at lower temperatures. The product can help reduce chlorides by up to 75% due to the improved effectiveness of the product (AMP at 20% has 75% more melting capacity than salt brine alone). For more than twenty-five years, EnviroTech Services, Inc. has forged its identity as an innovator and industry leader in road solutions. We effectively produce high performing products that provide our customers with improved efficiency and reduced cost. We achieve these goals while, at the same time, reducing environmental impact and enhancing sustainability.